To understand a people it is important to know something about their history — the oral and written repository of all that has shaped them. I first learned about the people of Cambodia when I was a kid growing up in South Texas. My Uncle Phil had visited the temples of Angkor on one of his many trips around the world. The temples in this complex are the remnants of what once was the religious, political, and social center of Cambodia’s ancient Khmer empire. 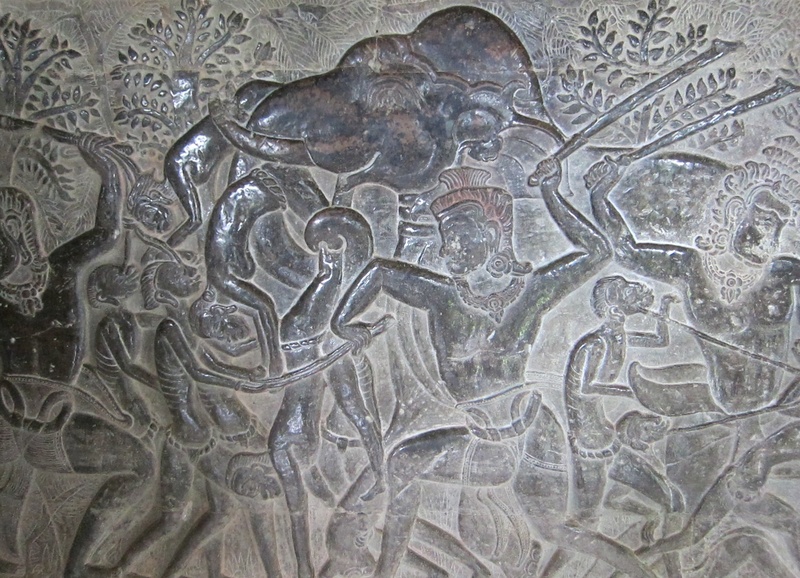 When my Uncle Phil visited Angkor, travelers were permitted to make pencil rubbings of the bas-relief figures carved on the temple walls of Angkor Wat, Bayon, and other temples in the complex. He used large sheets of newsprint to capture the complex images. He then had these pencil rubbings framed and then hung them in my grandparents’ home. As a kid, I was drawn to and fascinated by these images that told the story of a slice of Cambodia’s history — a history recorded in stone. I personally believe that visitors to Cambodia should, at the least, visit the Angkor temples and also the Tuol Sleng Genocide Museum (also known as S-21) and the Choeung Ek killing field in order to get a sense about two important periods of Cambodian history. Today, I took our team of ladies to visit Angkor Wat and Bayon, just two of the many temples in what is the largest religious complex in the world. 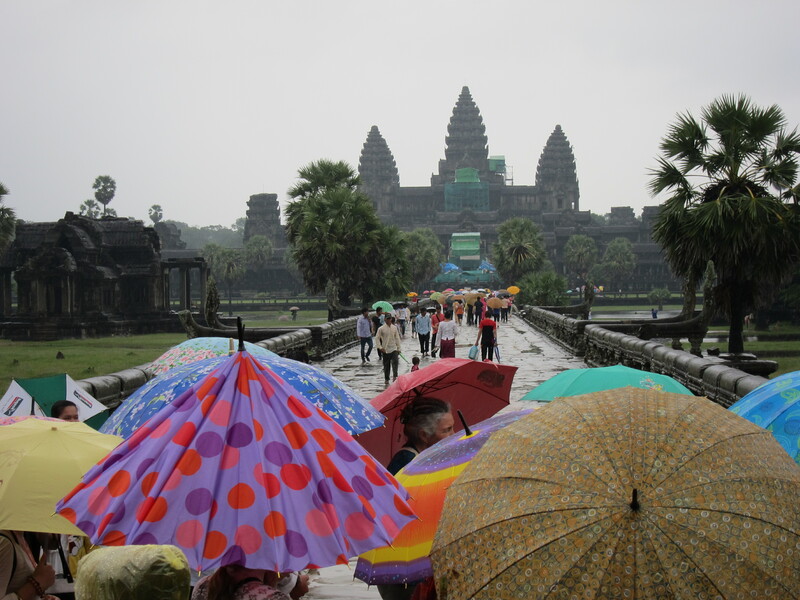 We slogged through the relentless rain and puddles in order to learn a bit more about the history of the Cambodian people. It was well worth the effort and inconvenience. 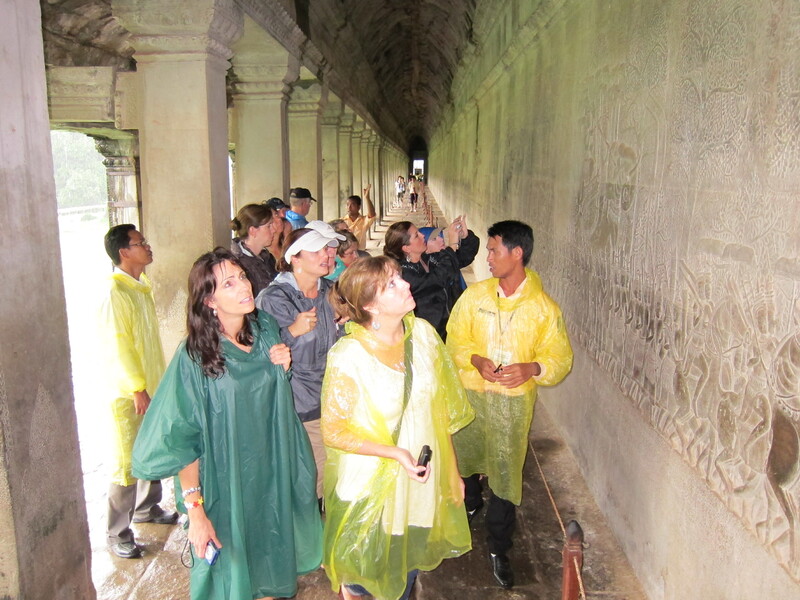 Our tour guide gave us helpful insight into the history of Cambodia as recorded in the extensive bas-reliefs that have survived through the centuries. The unvarnished history lessons carved in stone tell amazing stories that weave both the political and religious history of Cambodia. Some believe that Pol Pot’s torture methods were inspired by some of the graphic depictions of torture preserved in stone. The rains and flooding this year are a little worse than normal. As a result, many of the temples in the complex were inaccessible today because of the high water. As we walked through the rain, I could not help but admire the work of the thousands of artisans who built these temples that have survived countless seasons of heavy rains and flooding. The Angkor temples stand as mute testimony to the longing of the Cambodian people to connect with something or someone greater than themselves. They are evidence that the observation of the writer of Ecclesiastes is true — God has “set eternity in the hearts of men” (Ecc. 3:11). However, as impressive as this World Heritage site is, these temples no longer serve the faithful, only tourists. There are no priests, no worship, no fellowship, no instruction, and no life — only the weathered stones that tell of the rise and fall of the Khmer empire from the ninth to the fourteenth centuries. 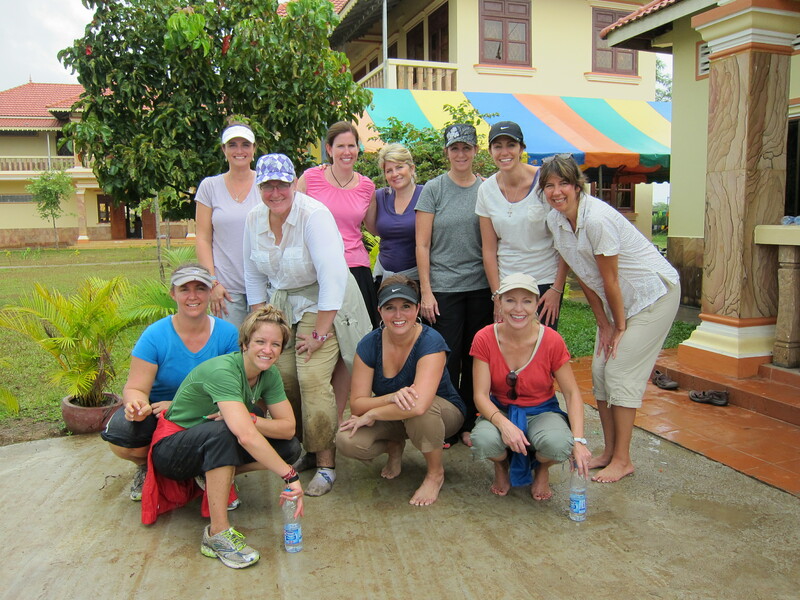 Today, Christ-followers in Cambodia are adding a new page to the history of their homeland. Over the past week we have seen the good work that folks like Steve Hyde and his staff are doing to care for the poor, for orphans and children at risk, and for the least of these. We also heard the affirmation of a Buddhist government official who said that God is bringing hope to Cambodia. It has been a privilege for us to work alongside our partners here. Much of the history of Cambodia is recorded in stone. However, the things that God is doing today are being recorded on “living stones” that “are being built up as a spiritual house” (1 Peter 2:5). May those who come after us find a record of our faithfulness and determination to demonstrate the love of God to the people of Cambodia in personal, practical, and measurable ways. And may they be inspired to do the same. Thanks again for your faithfulness to blog–I know it is only a glimpse of what is going on and it is such a balm to my heart. Many blessings to all of you!! Thanks, Kristin. We will be on the first of our three flights home later today. Thanks for praying for our team. Thank You Omar for bringing inspiration and hope to those God has put in your life path. Thanks for following our journey on the blog, Tonya. We look forward to sharing more about our experiences when we return home. Great to hear that Pastor…..thank you for sharing these lines!! !